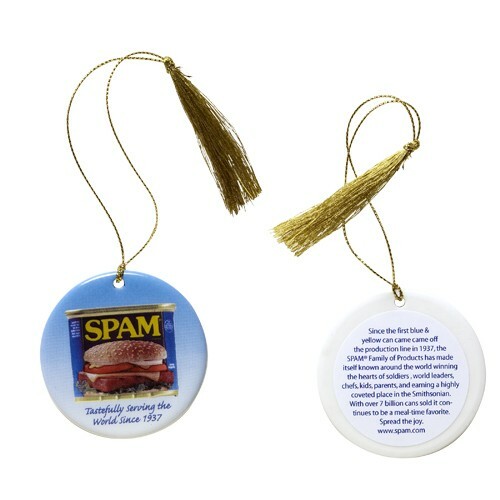 Flat round porcelain ornament with colorful SPAM® Can and "Tastefully serving the world since 1937" on one side. The other side has a written story about "SPAM® Classic a meal-time favorite". 2-1/2" diameter.